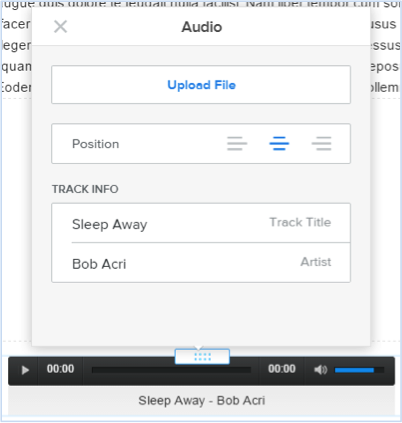 The Audio Player element is available under the "Media" category of elements. Drag it to a page to get started. Next, you can add YouTube videos to your site with The YouTube Video Element.